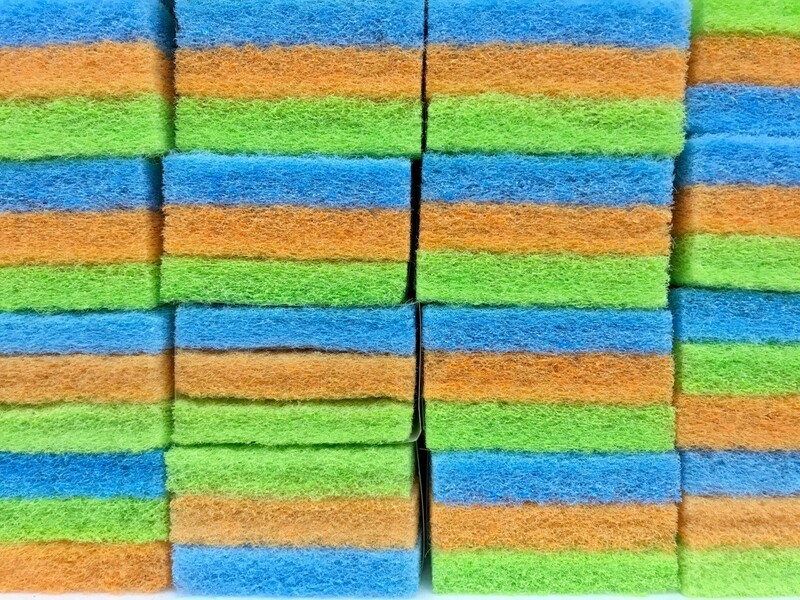 Besides cleaning you can use sponges in a variety of ways for crafting, water thirsty plants, for dispersing fabric softener, reducing moisture for different kinds of storage, quick knee pads and much more. 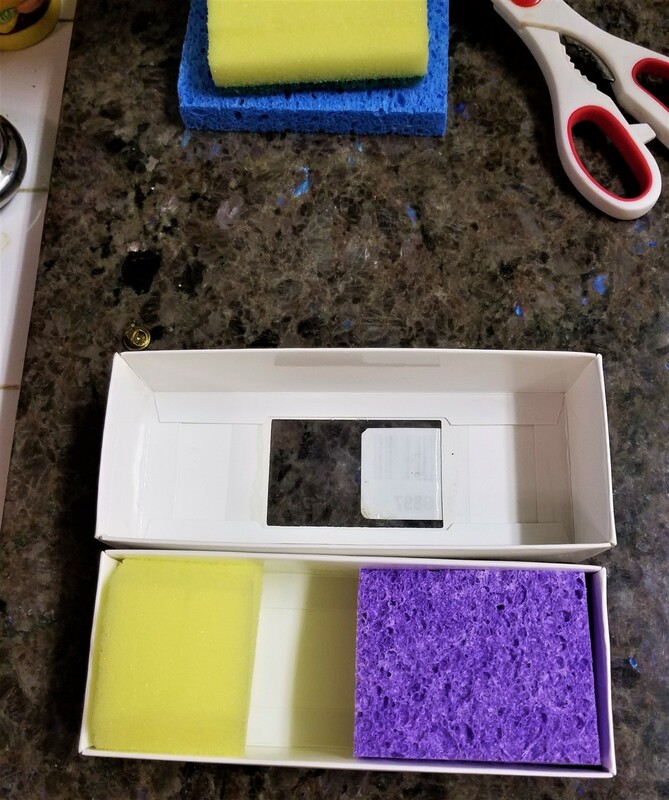 This page is about uses for sponges. Stir the ingredients together and when you add a load of clothes to your dryer, squeeze out 1 piece of sponge and add it to your load. 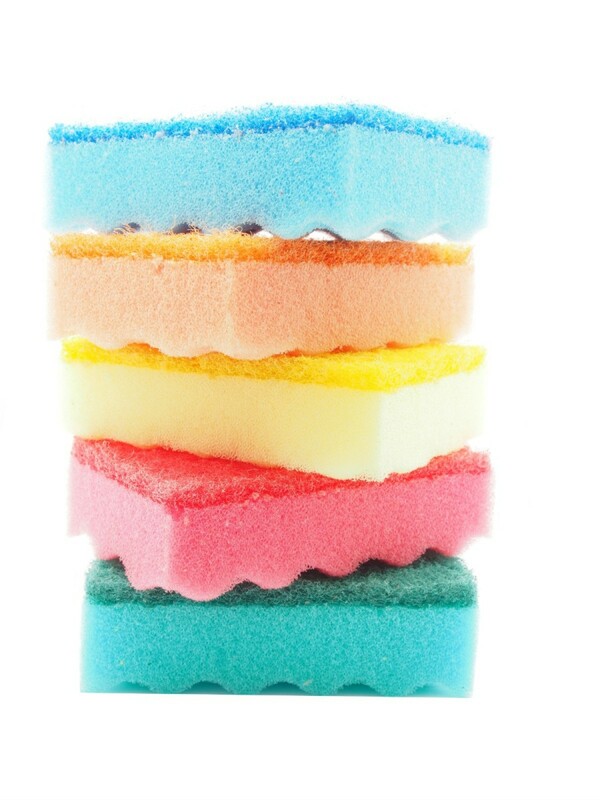 After the load is dry, replace the sponge in the softener. This stretches your softener 3 times as long. 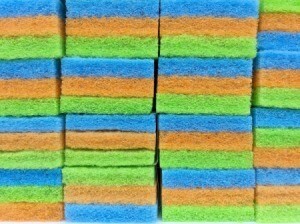 I buy my sponges 6 at a time from the dollar stores. But I don't like the size or the shape of the sponge part, so I cut them in half to make 12, allowing me to throw each one away on Sundays. The sponge part is sort of wasted but today I found another way to keep them useful. Also, for new ones, you get 2 in a package. Cut them in half, and use them to protect jewelry for storing or especially for shipping. 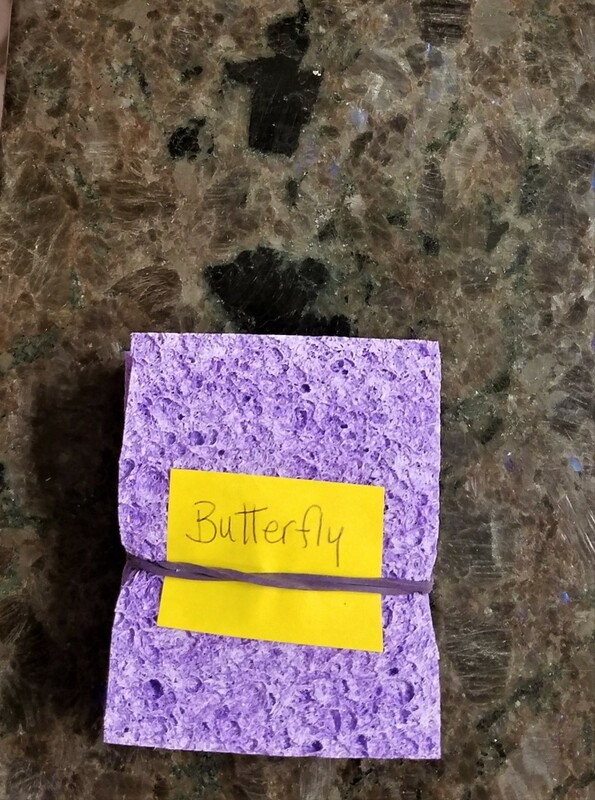 If you are just storing, a small rubber band works great to keep the sponges together with a note as to what is inside. I don't always have bubble wrap and don't trust most other mediums but I sure do like this for keeping stuff safe. If you need to be kneeling down, but don't have a pad for your knees, take two large safety pins and two large sponges and pin one sponge to the knees of your pants. When introducing a water thirsty plant to a larger container, I go to the dollar store and buy some inexpensive sponges. I then cut them up into small pieces and introduce them all through the soil evenly down to the bottom of the pot. Then each time I water the plant, the sponges will hold the moisture and my thirsty little plants will be happy for a significantly longer period of time! 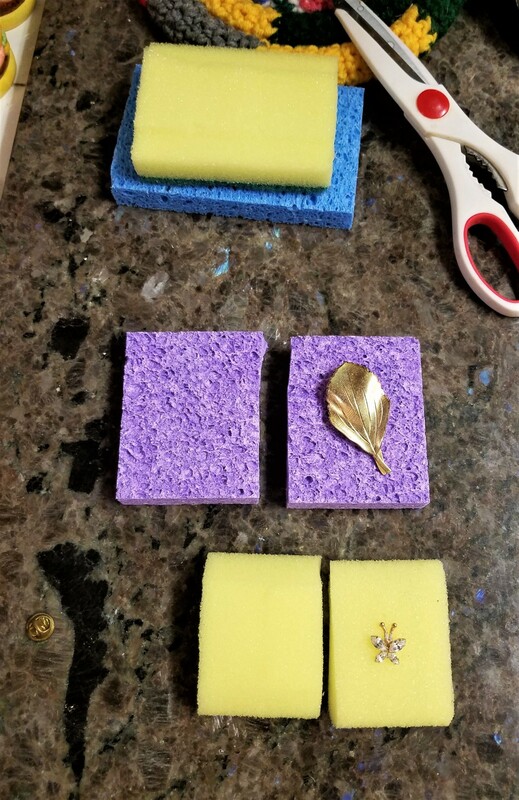 Buying bulk sponges can be inexpensive and there are creative ways to use them for crafts. 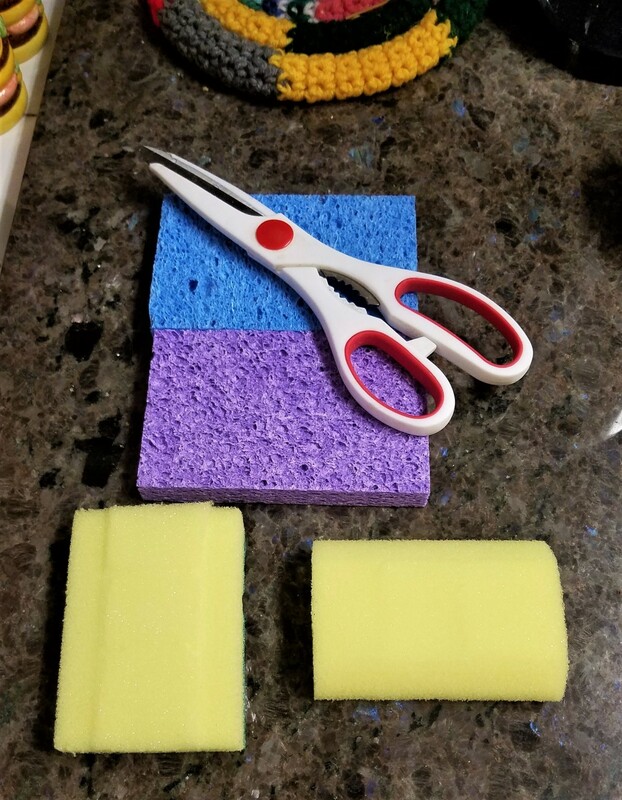 This is a guide about craft uses for sponges.